NEW YORK - The World Jewish Congress mourns the loss of Sam Bloch, an outstanding Jewish leader who passed away Sunday at age 94. Born in Ivie, Poland, Bloch escaped the Nazis and came to the United States after surviving the war. He dedicated his life to the rescue, welfare and rehabilitation of Holocaust survivors, and to rebuilding Jewish life. Bloch served as a Jewish leader of distinction all his life, including many years as a member of the Board of Directors of the World Jewish Congress American Section, and in numerous organizations devoted to strengthening the memory and lessons of the Holocaust. A dedicated lifelong Zionist, Bloch was an avid and indefatigable advocate for Israel, and a champion of Jewish unity. A prodigious editor and recorder of Holocaust history and memoir, his voice will continue to resonate for generations to come. May his children, grandchildren and all his family be comforted amongst the mourners of Zion and Jerusalem. Sam Bloch grew up in Ivie, Poland (today Belarus), speaking only Hebrew with his father, Joshua, one of the founders of the modern Hebrew movement and the head of Ivie’s Jewish Day School. As a teenager, he was sent by his parents to study at the Tarbut School in Vilna, and was home on a school break when the war broke out. When the Nazis arrived in Ivie, his father was murdered by one of the Einsatzgruppen (Nazi mobile killing unit) in the first action targeting the leaders of the community. He rescued his mother, Sonia, and 5-year- old brother Martin from certain death by escaping with them from the ghetto, finding temporary haven offered by righteous Christian farmers, and hiding in the woods where they were discovered by one of the Bielski brothers who brought them to the Bielski partisan base deep in the Naliboczka forest. As seen in the film Defiance, he fought against the Nazis and helped rescue other Jews. He and his mother and brother were among the 1400 Jews who survived in the Bielski brigade and among the small handful of Jews who survived from their town. Bloch went on to become the youngest leader of the Jewish Committee that governed the Bergen-Belsen Displaced Persons Camp, the largest Jewish DP camp in Germany and a major center for the rehabilitation of 50,000 survivors of the Holocaust, as well as the flight and rescue operations (Bricha) in Europe that brought survivors to the land of Israel in Palestine. It was there that he met Lilly Czaban, who had survived with her parents thanks to a Polish farmer who hid them for two-and-a-half years in a grain cellar at great peril. They married in 1949, and immigrated to America, where they created a new home and were pillars of their community. As an executive of the World Zionist Organization/Jewish Agency for 50 years, he advanced Israel advocacy throughout North America. His devotion to Holocaust remembrance was manifested in his leadership as President of the American Gathering of Jewish Holocaust Survivors and Their Descendants; President of the World Federation of Bergen-Belsen Survivors Associations; Chairman of the Advisory Council (Beirat) of the Foundation for World War II Memorial Sites in Lower Saxony, Germany, and a member of its Board. In 1981, Elie Wiesel, Chairman of the U.S. Holocaust Memorial Council, appointed him as chairman of the Council’s Board of Advisors as well as a member of its Development, Days of Remembrance, and Content Committees. He was appointed by Mayor Ed Koch to the New York City Holocaust Commission that created the Museum of Jewish Heritage, a Living Memorial to the Holocaust. As Chair of the Jewish Section of the Swiss Humanitarian Fund, he assisted in distributing $180 million to needy survivors. He continued to serve on the Board of the Conference on Jewish Material Claims Against Germany until the end of his life. 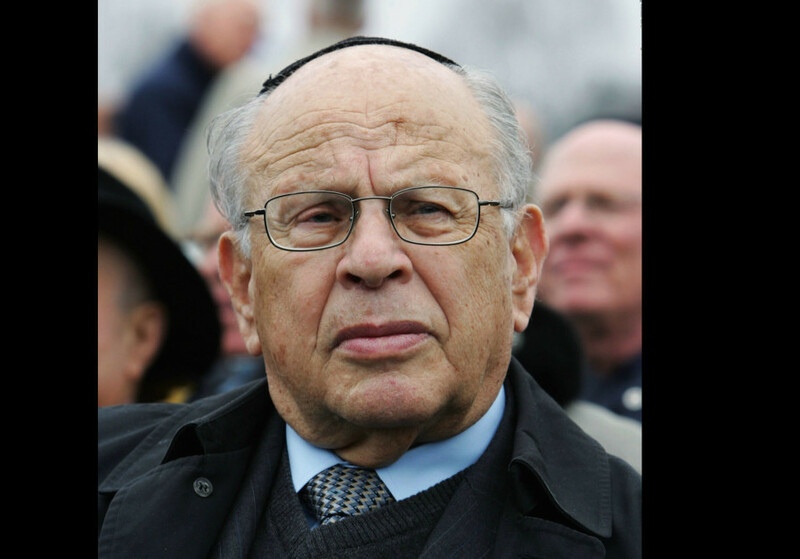 He was a founder of Beth Hatfutsot from its inception, and served as Chairman of the American Friends of Beit Hatfutsot and a member of its Board of Governors. He was also for many years a member of the board of directors of the American Section of the World Jewish Congress. In addition, he was a founding member of the International Society for Yad Vashem, and a founder of the American friends of the IDF. Bloch was one of the principal organizers of the historic survivor gatherings in Jerusalem, Washington, DC, Philadelphia, and New York. He published thirty volumes of Holocaust memoirs, history, poetry, in English, Hebrew, and Yiddish editions as editor of the Bergen-Belsen Memorial Press, edited numerous significant documentary volumes, including Holocaust and Rebirth: Bergen-Belsen 1945-1965 (1965), From Holocaust to Redemption – Bearing Witness (1981), and From Holocaust to New Life - The American Gathering of Jewish Holocaust Survivors, Washington, D.C. (1985) He was Chairman of the Editorial Board of Together, the publication reaching 80,000 survivors throughout North America. He was the recipient of the Doctor of Humane Letters, honoris causa, from Hebrew Union College-Jewish Institute of Religion; Honorary Fellowships from Tel Aviv University and Beit Hatfutsot, the Museum of the Jewish People; the Elie Wiesel Holocaust Remembrance Award; The Yad Vashem Remembrance Award; and the Ghetto Fighters’ Museum Award.